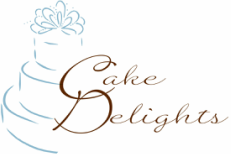 Jessica Steadman started Cake Delights in 2007 with a love of baking and cake design. She views cake as a canvas to express the unique personality of each client and event, and strives to make the flavors as important as the design. Contact her today to begin bringing your cake vision to life!